“[R]unning for President is like the world’s longest, most important job interview,” Hillary Clinton writes in a new essay. But though she’s running for the most prominent job in the nation, Hillary Clinton’s first jobs were anything but prestigious. In fact, one if them was a lot slimier — yes, physically slimier — than you might expect of a presidential nominee. She writes that she eventually noticed that the fish she was working on “didn’t look right.” They were “purple and black, and sort of gooey.” (Um, ew.) When she started asking questions about it, she was fired — and when she came by the next day to get her last paycheck, “the entire operation was gone.” Sounds like a pretty fishy situation, right? (#sorrynotsorry). 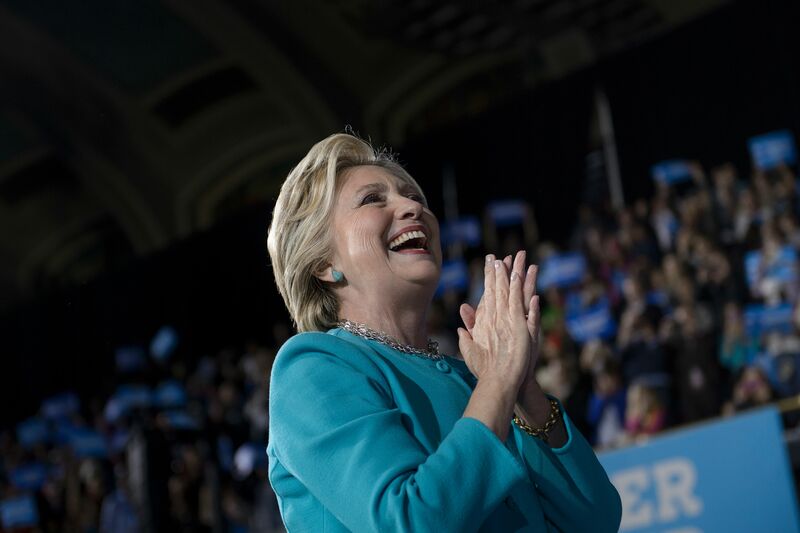 The experience was educational: “I learned to trust my gut — and that sometimes, doing what’s right means standing up to people in powerful positions,” Clinton writes. Clinton’s early jobs show that, for her, it’s been a long, fascinating road to Election Day. “While I don’t think I’ll be screen printing or sliming fish again any time soon, I know I wouldn’t be the person I am today without these experiences,” she writes. “These three jobs and these three lessons — to work hard, to stand up for what’s right, and to strive to make a difference for others — have guided my life. And they will guide me in the future.” Will that future include the White House? We’ll have to see what tomorrow(!) holds.